The type of guitar you play has a big impact on your sound! Guitars come in many varieties, each with a unique set of attributes. That’s one of the great things about being a guitar player. Unlike many instruments, changing your entire sound is as easy as putting down one guitar and picking up another. That’s also why it is reasonable for a player to own many types of electric guitars. Each is meant for a certain style or vibe, and having a deep palette to work with gives a musician more choices when it comes to perfectly nailing a certain tone. If you are a seasoned pro you already know what each style of guitar can do for you and your sound. You probably have one or two instruments you look to when you want to grab that perfect tone you imagine in your head. In fact, you probably own many guitars, each with a specific purpose in mind. But if you are somewhat of a beginner you may not fully understand the different kinds of guitars, how they are made and how they sound. Different styles each have a unique vibe. Understanding this will get you a step closer to achieving that signature sound all your own, or copping the tones of your favorite guitarists. 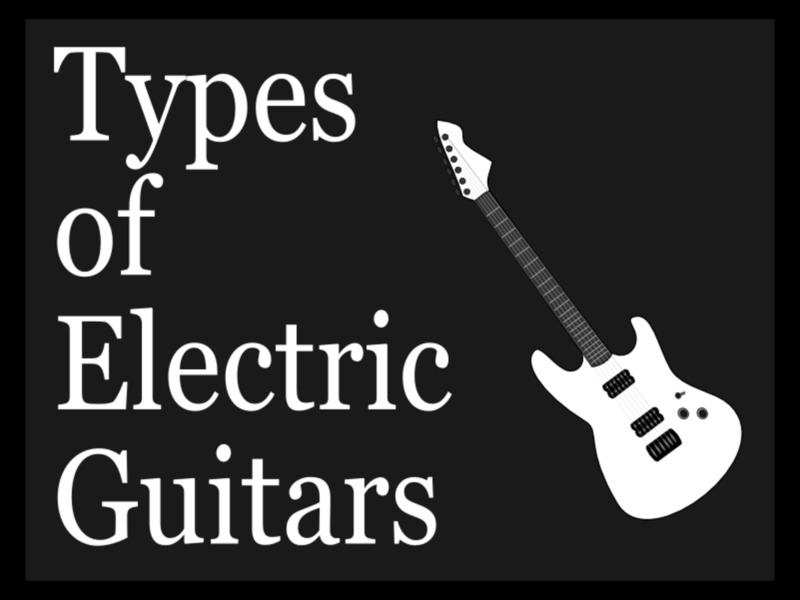 In this article we’ll look at the most common styles of electric guitars, complete with examples of each. By the time we’re done you’ll have a firm idea of which is best for you, and which work well in which styles of music. You might even learn a little history if you aren’t careful! Note: If you are still a little confused when it comes to your understanding of guitar specs you may wish read up on basic terminology and definitions. Solid-body electric guitars are the most common style on the market today. The first widely-available solid-body electric was the Fender Broadcaster, which later evolved into the Telecaster. It was super simple compared to other electrified instruments that came before it, and the basic design premise continues on in every solid-body instrument to this day. Solid-body guitars are made from a flat piece of wood called a blank that’s precision cut to the desired shape of the guitar body. In more expensive instruments this can be one piece of wood, but many instruments are cut from body blanks made from two or more pieces of the same wood species glued together. From there the manufacturer makes a series of choices that determine the overall design. While there are countless different ways to build a solid-body guitar, for the sake of illustration we can group instruments into a few basic categories. The descriptions that follow are very broad, but if you look around the guitar world you can usually pin any solid-body guitar down to one of these general categories. Of course you’ll see wild shapes like the Gibson Flying V, Ibanez Destroyer, Dean ML and Jackson Rhoads. They may look like they’re from another planet, but if you check their specs you’ll see they follow the same basic design principles as any other solid-body electric guitar. Fender instruments like the Stratocaster and Telecaster feature bolt-on necks and brighter tonewoods such as alder for the body and maple for the neck. They are easy to work on, and an owner with even a small degree of technical knowledge can fit replacement parts without professional assistance. Fender guitars are built to a 25.5-inch scale length, which lends to their brighter, more percussive tone. You’re more likely to see tremolo systems on this type of guitar, and hot-rodded guitars known as superstrats fall into this category. 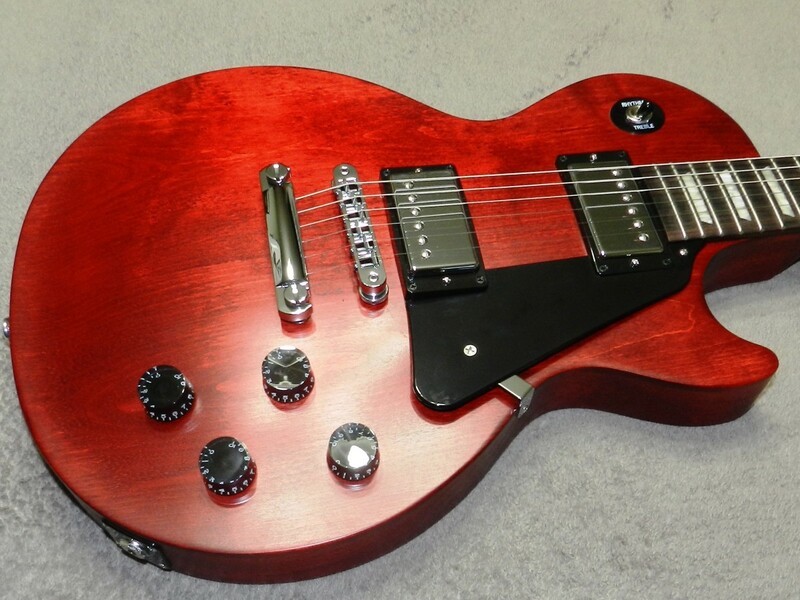 Gibson guitars have a shorter 24.75-inch scale length, giving them a looser feel and a somewhat warmer tone. They feature resonant tonewoods, typically mahogany for the body and neck. The neck is set in place and glued instead of bolted. 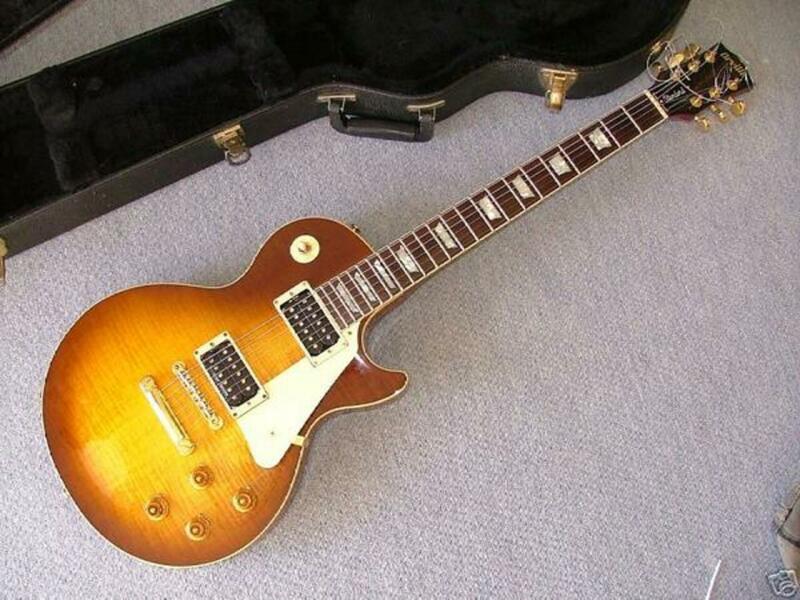 Les Paul-style instruments have carved tops made from another tonewood such as maple, but other instruments such as the SG have flat tops like the Strat. If something goes wrong with this kind of guitar you may be able to repair it yourself, but issues like broken necks and headstocks require work done by a professional luthier. PRS scale length falls between Fender and Gibson at 25 inches. These are typically set-neck guitars, often with carved tops. This style is a nice alternative for players who are looking for a middle ground between the warmth and resonance of a Les Paul and the tighter feel of a Strat. You’ll also see a lot of guitars that have that PRS look but are built to a different scale length. Back in the 1930s jazz and big-band guitarists began to make the switch to electric guitars in order to compete with the volume of other instruments onstage. Early electric instruments were hollow-body guitars. They were big, and featured an arched top that helped with power and projection. They had f-holes to facilitate amplification acoustically, and the first rudimentary pickups that allowed the guitar to be plugged into an external amplification system. Electric guitars have come a long way since then, and today you’ll see many different designs. But you can still find big hollow-body jazz boxes that hearken back to those early days in the lineups of many manufacturers. They’re best suited for jazz players looking for a warm, woody sound. Of course the technology has improved greatly in the past eighty years, but these instruments still have a nice vintage vibe. You’ll sometimes see these instruments referred to as semi-acoustic. Early electrics weren’t built for distortion. The idea was to create a loud, clean sound and, with a few notable exceptions, that’s what players who utilize this type of guitar are looking for today. But even without overdrive this design has one inherent problem: As the volume goes up, hollow-body guitars become highly susceptible to feedback. The next level of electric guitar evolution, the semi-hollow body, made a few strides in dealing with this issue. Semi-hollow designs are similar to hollow-body guitars, but typically feature a thinner body with a central wooden block inside. This helps to control feedback while giving the instrument some of the same tonal characteristics as a hollow-body. This type of guitar has been used successfully in just about every genre of music, with the exception of extreme metal. The Gibson ES-335 is an example of a semi-hollow design that first appeared in 1958 and remains popular to this day. As far as body size, it lands somewhere between a hollow-body and solid-body. Many builders follow this same basic template, but there are other versions out there as well. For example, the Fender Thinline Telecaster is a semi-hollow guitar that’s not much bigger than a standard Telecaster. But, it features a semi-hollow build with f-holes. For many musicians it is the best of both words. Don’t confuse chambered-body and weight-relief builds with hollow-body instruments. These are techniques utilized in solid-body guitar construction, intended to influence the tone and/or lighten the instrument. 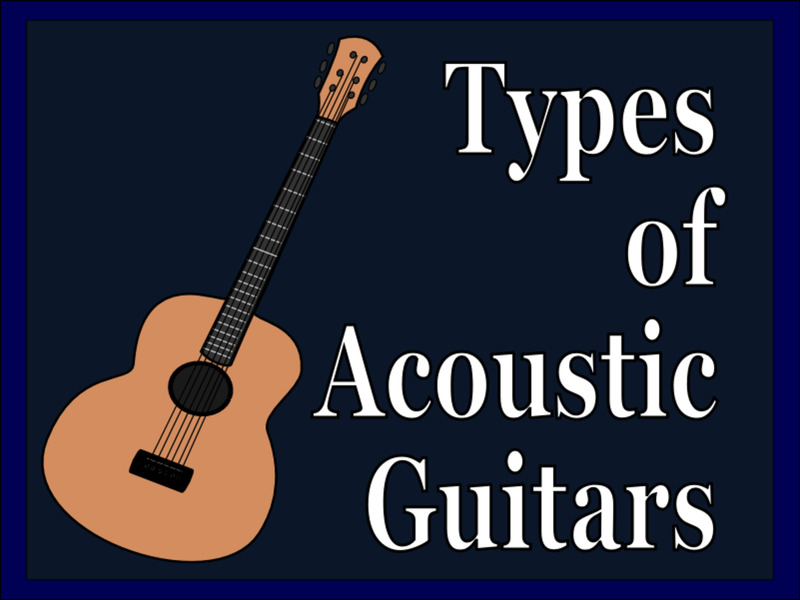 Neither should you confuse acoustic-electric guitars with semi-acoustic hollow or semi-hollow instruments. Acoustic-electrics are acoustic guitars with onboard electronics that allows them to be amplified. They can be played just as well without plugging in. Semi-acoustics are electric guitars with some acoustic properties that are meant to be amplified when played. You know I’m going to tell you the best choice for you depends on your goals and the genre you are interested in. Most players will look to solid-body guitars to get the job done. If you are beginner, that’s the best place to start. But when should you consider something else? Hollow-body guitars are best suited for classic jazz, but some musicians have used them in rock, country and blues. If you are a non-jazz guitarist interested in this kind of instrument I’m going to assume you know what you are doing. While these types of guitars can sound great with overdrive in the right hands, they’re probably not the best choice for most rock players. A semi-hollow guitar might be, though. You’ll get a little of that woody, vintage sound, but easier to play and with less feedback. 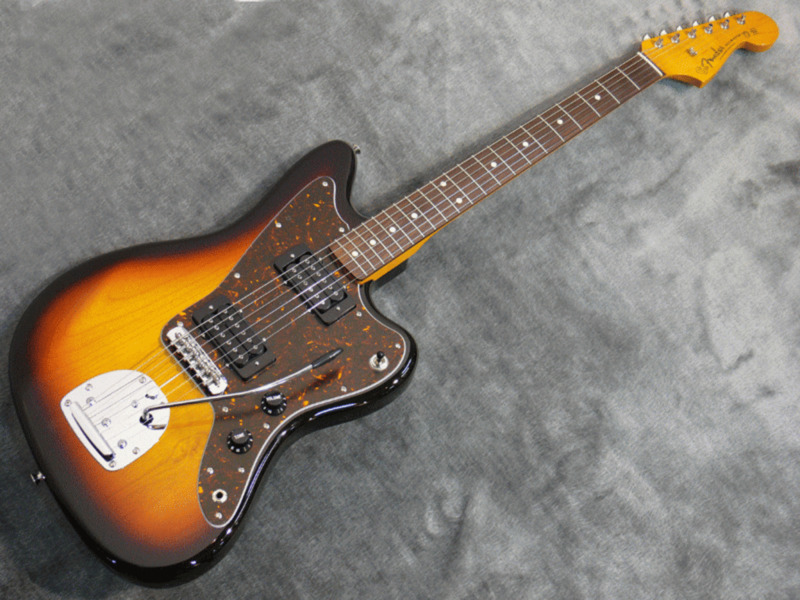 These types of guitars have been used successfully in rock and blues, and they provide an alternative to the basic solid-body sound. Whatever you choose, hopefully you learned a thing or two from this article. Good luck, and have fun! Hollow, Semi-hollow or Solid Body? Which electric guitar is right for you? Are Fender Telecasters harder to play than other guitars? There is no reason a Fender Telecaster should be any harder to play than other guitars. It has the same 25.5-inch scale length as the Stratocaster and many guitars, and it isn’t a particularly heavy or big-bodied instrument. While the thickness of Fender necks vary depending on production year and model, they are all pretty comfortable, even for people with smaller hands. 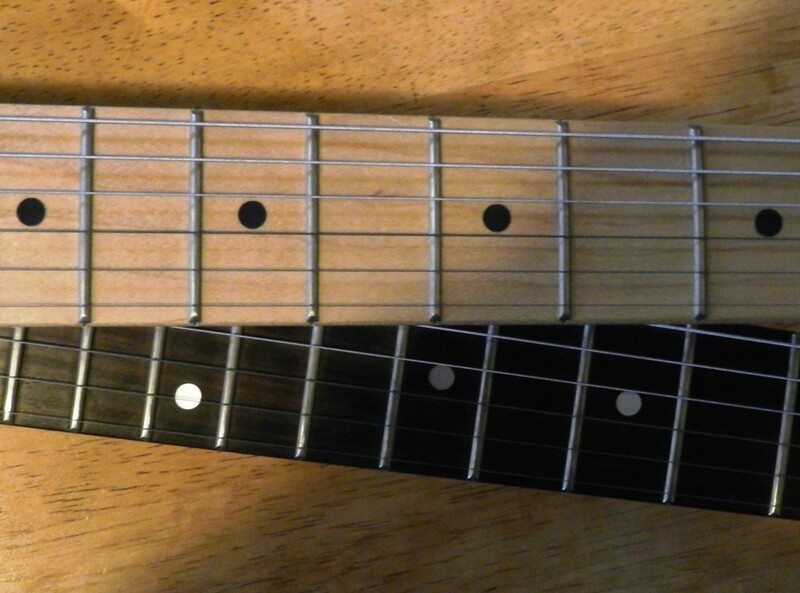 The single-cutaway design may make it appear harder to fret some of the notes on a Telecaster. But, if you look closely, you’ll see that where the neck joins the body on the bass side is about the same as on a Strat, and slightly lower than on a Les Paul. 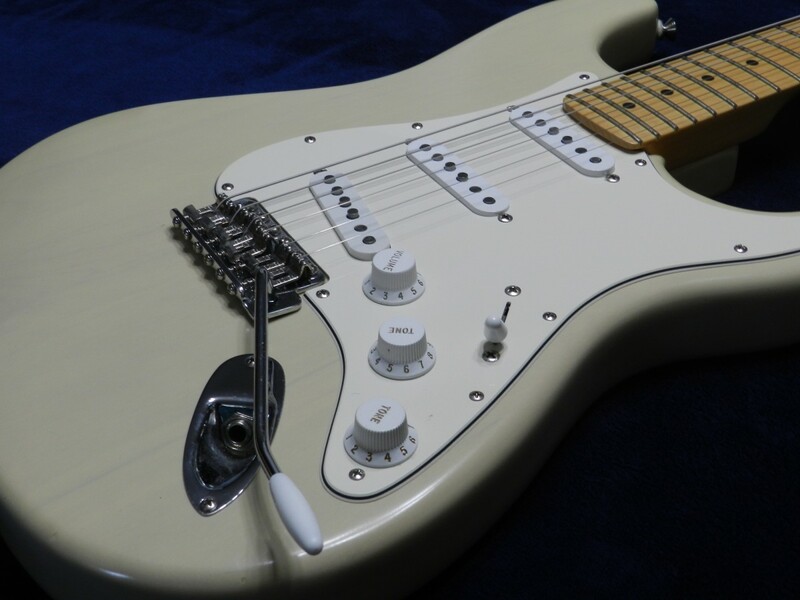 In fact, beginners may find the Telecaster a little more agreeable than the Strat, simply because the Tele has a fixed bridge where the Stratocaster typically has a tremolo system. This means the Tele is a little easier to set up and keep in tune, especially for those who are inexperienced when it comes to working on guitars.